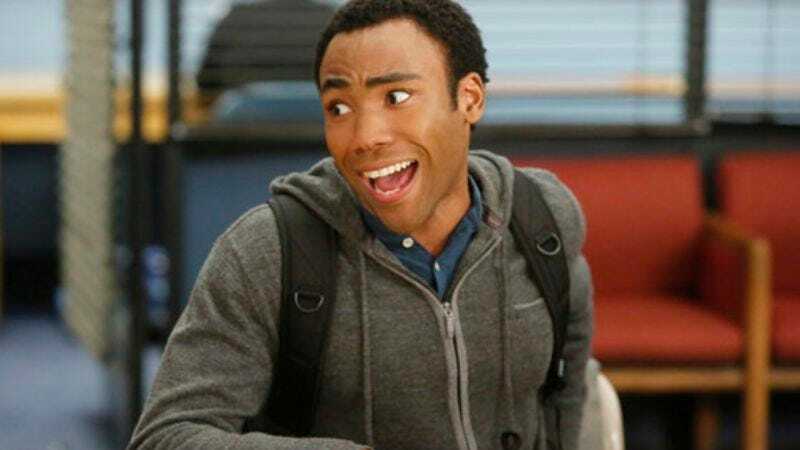 Dreams of seeing Donald Glover play Miles Morales have been, if not dashed, then deferred by the news that he’s officially been invited to Spider-Man: Homecoming. That’s according to Deadline, who just broke the news of Glover’s casting though not his actual role in the film, but at least that leaves his part open to speculation. Maybe we’re wrong, and Glover will play the Afro-Latino Spider-Man, created by Brian Michael Bendis and Sara Pichelli in 2011, who goes stag to the big dance along with Tom Holland’s Peter Parker, who you just know hasn’t worked up the nerve to ask anyone yet. What’s pretty clear is that the Community star won’t just be another high school student trying to avoid the principal played by Kenneth Choi, who’s defied comic-book movie laws by appearing in separate franchises. In any case, we’re sure this will all get sorted out once director Jon Watts and Sony figure out what Michael Keaton will be doing.